HGTV helped create the booming DIY reality TV market, turning unknown entrepreneur couples, brothers, single moms and mother/daughter teams renovating homes and properties into budding celebrities. From “Flip or Flop” and “Property Brothers” to “Fixer Upper,” Discovery-owned HGTV caught lightening tapping into consumer fascination with real estate, house flipping and home improvement. Union and Wade showcase their “love” of home renovation as they buy, overhaul and flip a fixer-upper in an up-and-coming Miami neighborhood. The couple join forces with their construction team to gut an outdated ranch house, adding square footage and value to the property with a second-story master suite. They transform the home into a sleek, modern showplace. 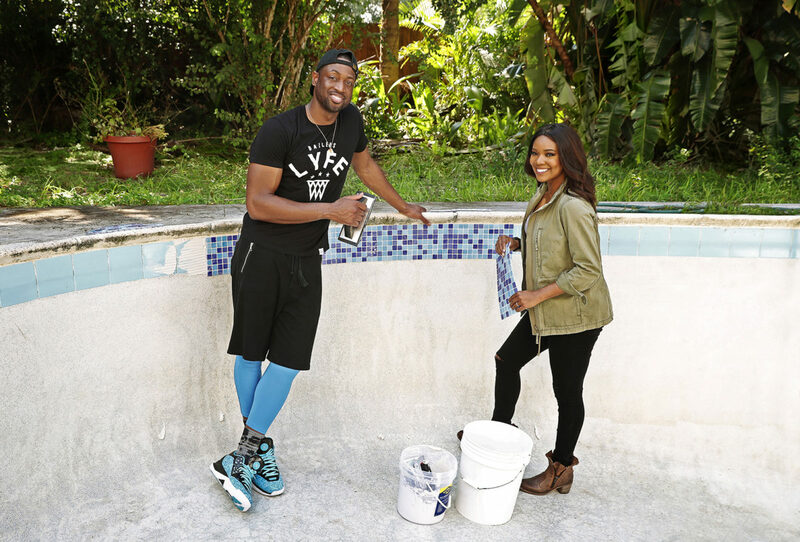 Union, who stars in pending drama, Breaking In, says home renovation might be more her passion than Wade’s. “It took a while, but I finally convinced Dwyane that we should try flipping a house,” said Union, who admits to being real-estate obsessed. The half-hour special premieres April 12, at 9:30 p.m. ET/PT on HGTV.